Canadian street artist (and animator, and character designer) Aiden Glynn likes to take everyday objects on the street and bring a little life to them, turning them into characters from video games and cartoons. 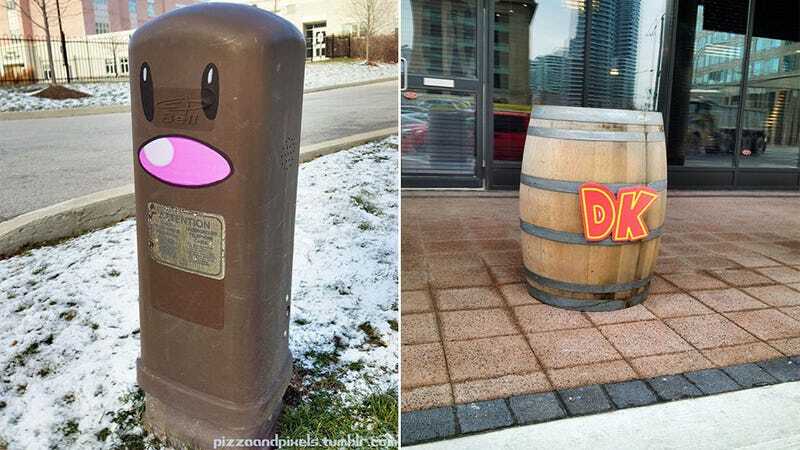 So a power box becomes Diglett, and an old barrel out the front of a restaurant becomes a prop from Donkey Kong (which the place left up for two weeks!). Glynn is promising to post more game-related art this week, so check back below for more over the next few days. UPDATE - Scratch the whole "electrifying" thing. Looks like it's got to do with phones, not power. Canada!